Filed to: Lynk & Co.Filed to: Lynk & Co.
Cyan Racing, once called Polestar before Volvo bought the name and performance division, is an independent racing team that campaigned Volvos to Touring Car racing victories, most recently winning the 2017 World Touring Car Cup. 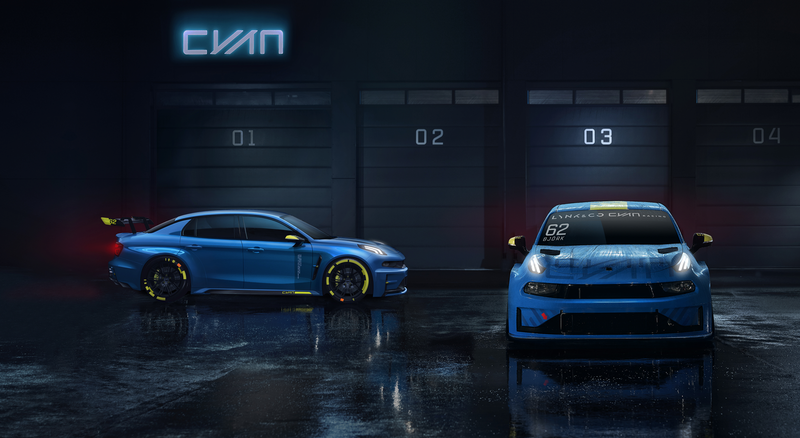 Now Cyan has partnered with Volvo’s weird new little brother, Lynk & Co to run a Lynk & Co 03 sedan in the FIA World Touring Car Cup. The Lynk & Co TCR 03 race car will be competing against cars from Audi, Alfa Romeo, Honda, Hyundai, Peugeot, SEAT, and Volkswagen. Man, almost half of those marques are part of the VW Group! Based on that, it looks like along with racing program with Cyan, Lynk & Co will be working with the racing team to develop a performance vehicle program, the first fruits of which will be a 500 horsepower concept car based on the 03 TCR race car. Even though this is the first plunge into motorsports for Lynk & Co, they’re not really entirely unproven, as the 03 is based on the same platform as the Volvo XC40, so Cyan should feel right at home. Motorsports are sort of a strange way for Lynk & Co to go, considering how much they’ve attempted to distance themselves from gearheads and even traditional ways of owning a car at all. Still, racing is fun, and I’m never going to discourage any company from taking part. Besides, people may be as motivated to “subscribe” to a car because they saw it racing as they may be motivated to buy one. Who the hell knows? Cyan’s Lynk & CO 03 TCR car is pretty cool looking, and in these pictures the upper DRLs are sort of less prominent, so the front of the car looks a lot like a bizzarro-world Dodge Charger. Just the fact that Cyan is using a Lynk & Co-badged car instead of their expected Volvos seems to show that parent company Geely is really committed to pushing the Lynk & Co brand. It’ll be interesting to see if eventual Lynk & Co month-to-month car subscribers will occasionally decide to ditch their crossovers for a month or so and try out something really fun with 500 HP.